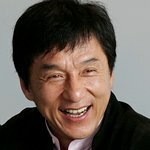 Jackie Chan has come out fighting for the Olympics – despite the current protests occuring around the world as the Olympic Torch makes its way to Beijing. The 54-year-old star of over 100 action films believes the Games should be used as a platform for peace – not politics – and should represent “unity and love” to heal the problems of the world. The UNICEF and UNAIDS Ambassador is a strong believer in philanthropy and goodwill, and although he can understand the protestors’ desire to be heard, he is disappointed with the way they are doing it. The martial arts star is looking forward to the Games, and has already starred in a series of Olympic TV commercials for Visa, attended a ceremony last August for the official start to the Games’ countdown, and recorded the official Olympic song, We Are Ready. But protests over the Games has been strong, and the running of the Olympic Flame has been marred with hold-ups and opposition. Most of the disapproval centers around China’s continued support of the Sudan despite the on-going humanitarian crises in Darfur, and the issue of Tibet following violent riots in March. Jet Li, a follower of Tibetan Buddhism who has met the Dalai Lama, refused to comment on the situation.